MANILA, Philippines - ABS-CBN's popular reality show Pinoy Big Brother has revealed that Kapamilya actor and ASAP mainstay Enchong Dee is one of the housemates of Pinoy Big Brother (PBB) 737 edition. 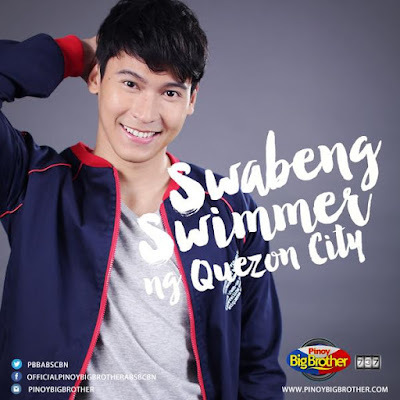 Enchong dubbed as the "Swabeng Swimmer ng QC" is one of the five housemates of PBB 737 that entered the yellow house on Sunday, June 21 after the big reveal on noontime variety show ASAP 20. PBB host Robi Domingo has confirmed that Enchong will be the additional co-host of the reality show but needs to follow first the tradition of becoming a housemate. Enchong has accepted the challenge of Big Brother and now ready to jive with other housemates. 'Enchong' immediately trended on microblogging site Twitter in just few minutes after the announcement. How long the Chinito star will stay in the Big Brother House? The answer is not yet clear but he has scheduled concert titled "DeeTour" at the Music Museum on July 3 and 10. Other housemates as named on Sunday includes "Mr. Nice Guy ng San Juan" Edward Kyle Secades, "Blossoming Beauty ng Quezon City" Zonia Mejia, "Totoy Smiley ng Albay" Thomas Franco Rodriguez and "Daldal Darling ng Australia" Ylona.